I have to admit… I have fallen for the Anthropologie snow globes from this last holiday season! While I was putting all of my holiday decorations away I just couldn't part with my snow globes. I decided that I would make a Valentine's Day version. Here you have it… my Valentine Snow Globe. I took my Anthro inspired snow globe and removed the trees and safely stored it for next year. Then I used my Epic tool and my new Sweetheart Nesting Scallop Heart die from Lifestyle Crafts to make the pink heart. I made two and then placed them back to back with two, two inch pieces of a paper drinking straw in the middle to secure to the bottom of the lid with some large 3D glue dots. For the tutorial on how to do that click here. Don't worry, people won't notice the straws at all. It will just look like you have beautiful hearts floating in your snow globe! What else do you think we can do with the ever popular snow globe? 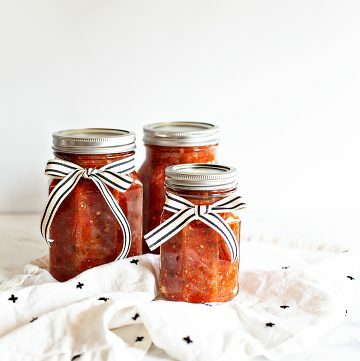 Seriously, you do make the cutest crafts!!! This is sooooooo adorable. I love it!! Oh how I love this! 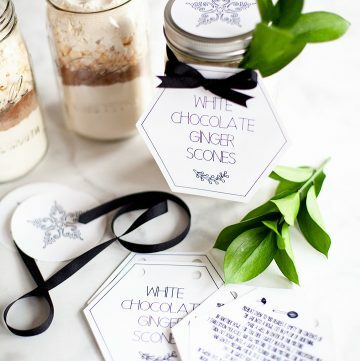 I have some jars leftover from my Christmas jar craze and know just what to do with them! So cute. so smart! if i had a snow globe like you made, i would do the very same thing. Oh this is just so cute! Very cute! I have some of those hearts that I got at Target after Christmas, thinking I could do something Valentine-y with them. Yours is a great idea!!! I have found with these jars, the subject of interest must be somewhat elevated to see it over the bends in glass and screw part – for uninstructed viewing. 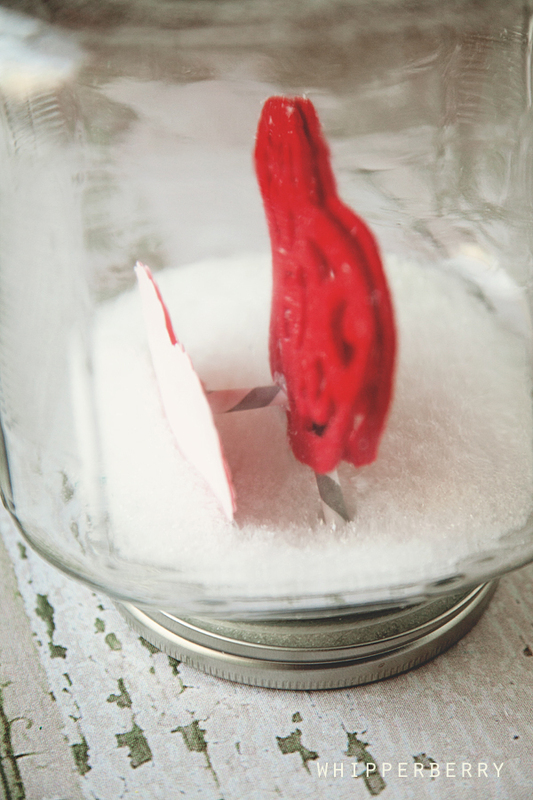 Are you elevating your hearts to the center of the jar? How? And what do you use for snow? I love this idea too!!! Some hearts confetti sprinkled in with the snow would be adorable! Thanks for the idea. My son is crazy about snowglobes! This is now on the to do list. that’s a fun idea kristi! i thought about that, but didn’t have any on hand. you should send pics of what you make so we can check it out! or better yet, link up to friday flair! This is super cute! 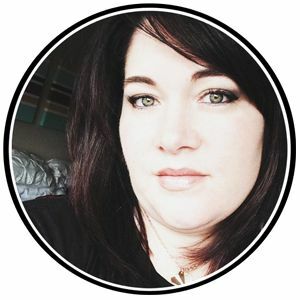 I shared your link over at mk inspired. So cute! 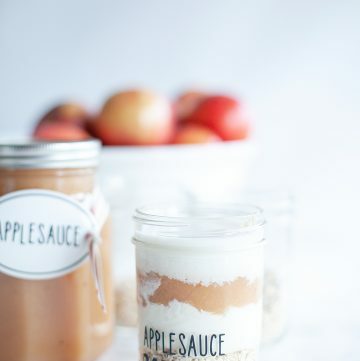 I picked up a bunch of mason jars for a dime each and plan on having my kids make one each. Jennifer, I’ve found them many different places… My grocery store, Target, Walmart, Smart & Final, online at Amazon. Many different places. Good luck on your search! It doesn’t look like you have water in these? I tried to make one at Xmas and found that any type of glitter that I added would float on top of the water with some of it on the bottom. Is it really a snow globe if it doesn’t contain water? What a fun idea! 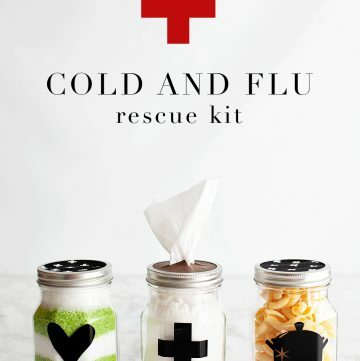 My daughter would love to make this with me. 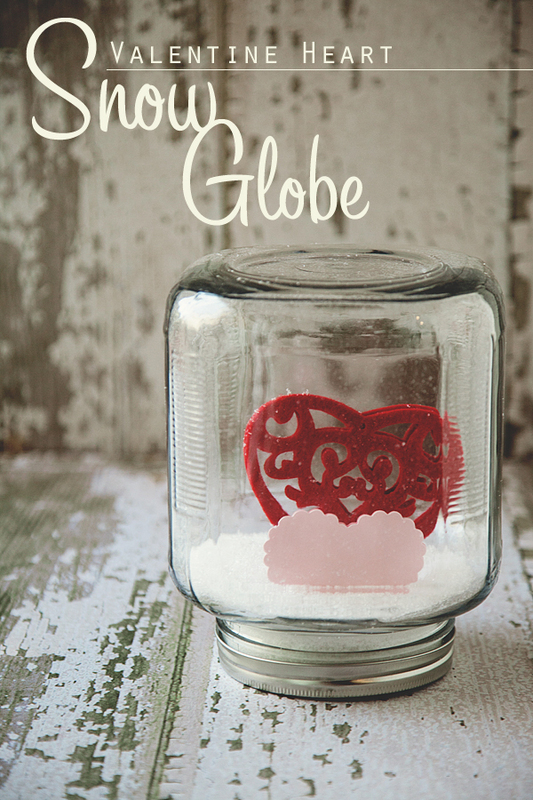 The lacy hearts can serve as a perfect template for your globe. Also available for the iPad. when I was a child, we made a similar snowglobe using baby food jars(cleaned) and I believe is was moth flakes (for the snow). We added water (not sure why they didn't disolve) and a decorative item depending on the season or holiday. THe jar lids were secured with glue. Maybe someone has more exact specs on this 'old style' globe. queria o paso a paso em portugues!